Dave Stoneleigh provided several photos from BFC programmes from the late 1940s to the late 1950s, see below for some examples. 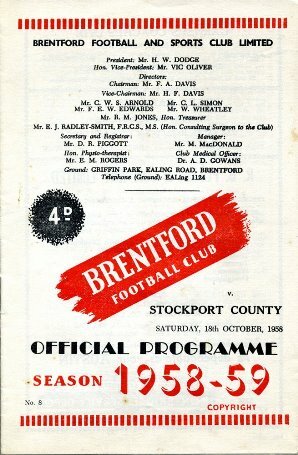 As well as providing names of players, which will eventually be included in the sporty people index, the programmes carry several adverts from Brentford and area. Dave notes that A. Pink, 'The Noted Eel Shop', 325 High Street, regularly appears in this period: 'Two minutes from the Ground'. More photos will be added from the programmes as time permits. The next covers are from the 1949/50 and 1951/52 seasons, price 3d. 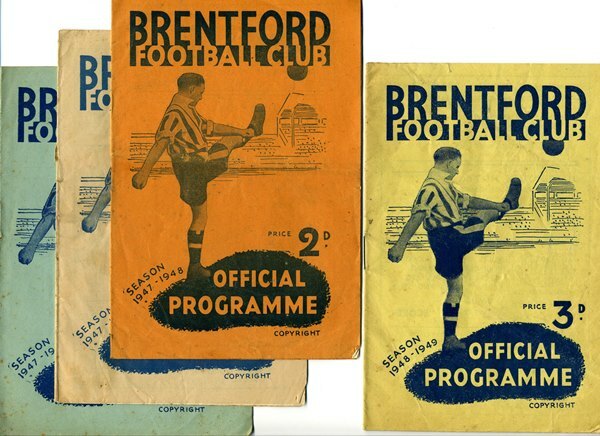 The programmes were produced by the Brentford Printing and Publishing Co. Ltd. (T.U.) Albany Works, Brentford. 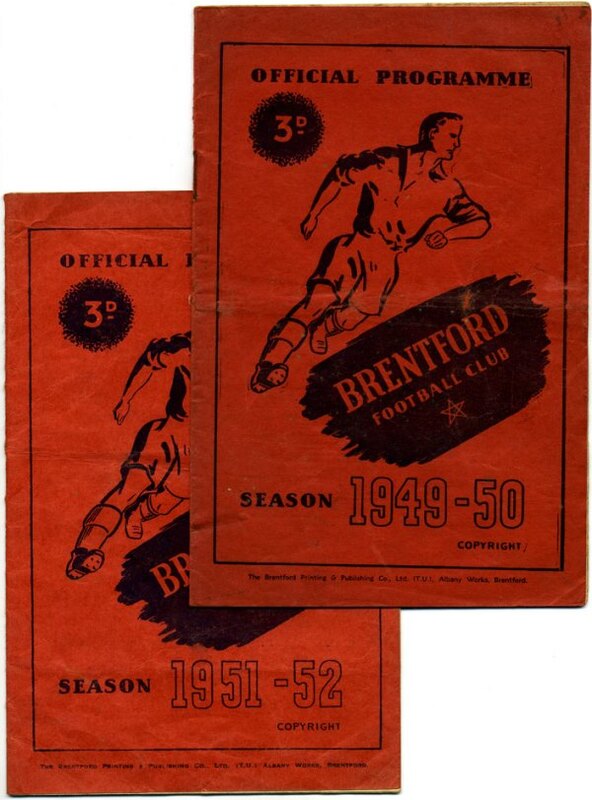 The following two programmes are from the 1957/58 and 1958/59 seasons and use red on white. 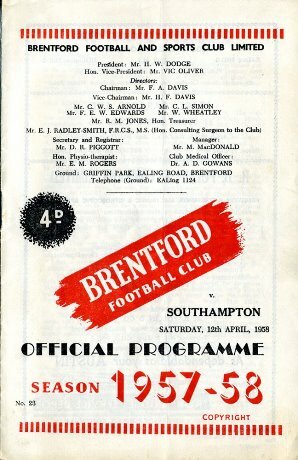 The organisation name is 'Brentford Football and Sports Club Ltd.' and officials' names are included. Cover price - 4d. 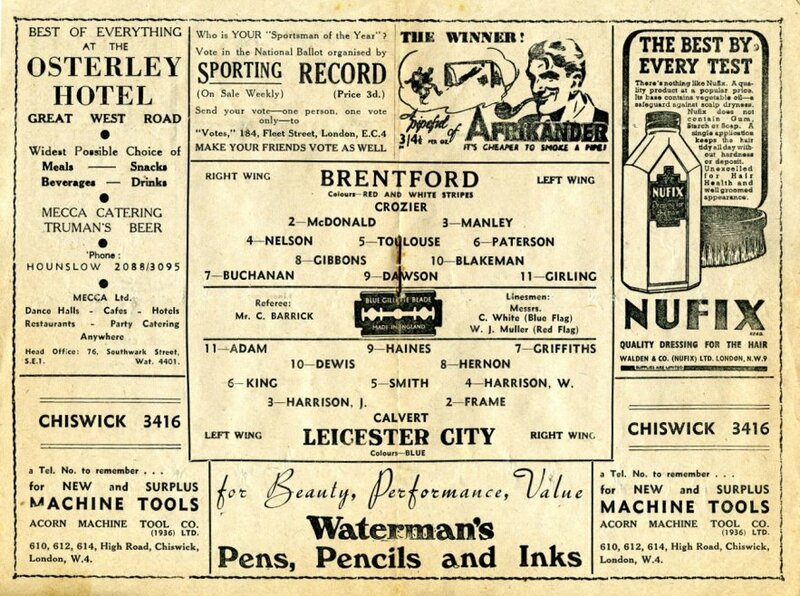 The programme below is from a match played on Christmas Day 1947, their opponents: Leicester City, who in December 2015 are doing rather well.